Richard & Stephanie Hackett, President & Founders of the Sea Mercy program have spent the last 30+ years of their lives preparing to launch this important and much needed program. Mr. Hackett graduated from Oregon State University in 1984, with a B.S. in International Business & Marketing and a minor in History and an active member of Sigma Phi Epsilon fraternity. He is very experienced in building major for-profit and non-profit organizations from scratch. He is also a published writer/author (Everything, The Eyes of the Heart and The Black Dragons). Stephanie Hackett graduated from University of Nevada, Las Vegas in 1982 with a B.S. in Business & Marketing and an active member of Alpha Delta Pi sorority. Sea Mercy is a non-profit Charity (not religious charity, nor are volunteers required to be of a certain faith to participate), although both are very active and involved Christians and their motives for building this program originated from their love for God and the compassion for those created in his image. After successfully working 5-7 years in the corporate world (Xerox, DEC and Dupont) following their graduation, in 1989 Mr. & Mrs. Hackett purchased a legal staffing franchise (Legalstaff) for the San Diego market and built it into a multi-million dollar franchise that ultimately purchased the Franchisor in 1995, allowing the company to work outside the San Diego market. In 1999, they started a legal job and resume board called Legalstaff.com that ultimately partnered with over 70 state and local bar and paralegal associations across the nation, quickly growing it into the largest legal specific job and resume board in the US. In 2006, they merged Legalstaff.com with Affiniscape, Inc., the largest member management software company for associations, with over 1,200 associations (nursing, dental, pharmacy, medical, hospital, legal, etc.) serving over a million members. 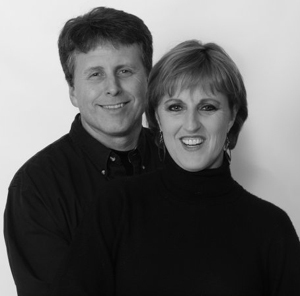 In 1997, Mr. & Mrs. Hackett helped start the San Diego chapter of HOPE Worldwide. As the Associate Director of the 2,500 local member benevolent charity (over 100,000 members worldwide), the first three years of its creation, the organization worked directly with the local government health agencies and clinics in helping raise the immunization rates of the inner city children. The organization was initially self funded until major corporations began to support the efforts of the organization. The organization was launched and operated within their San Diego staffing agency office until office space was secured 2 years later. In 2002, Mr. & Mrs. Hackett began laying the groundwork for the idea, structure and mission for the Sea Mercy program after traveling and sailing in the South Pacific. As business obligations and responsibilities were carefully positioned for success through 2007, they postponed the planned implementation of the program until they felt the economy and their resources could better support the initial launch of the program. 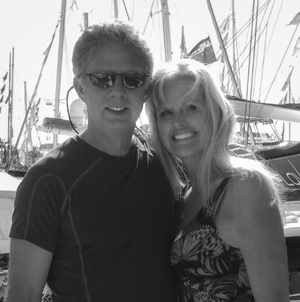 With recent events and desires in the Pacific region gaining interest, in 2012 Mr. & Mrs. Hackett felt the right time had come to successfully put the program into motion. Dr. Royce & Loriana Fonken M.D. There is definitely a need for help on the remote islands of the South Pacific, and Sea Mercy has created a Preventive Dentistry Program for these High-Risk Underserved Populations to establish and/or enhance dental care where population exhibit substantial risk for oral health problems because of lack of access. By focusing on preventative care techniques and education, we can gradually reduce the need for dental treatments, such as extractions or fillings and the costs associated. 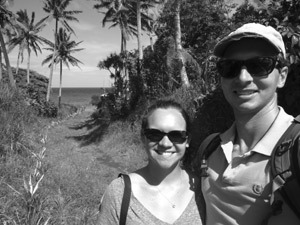 Peyton and Carter became Sea Mercy’s medical directors in 2014 after returning from their volunteer rotation in Tonga. Recognizing Sea Mercy’s need for physician and nurse leadership, Peyton and Carter were excited to help fill this role. Carter is originally from Clemson, SC where she lived until she started nursing school at the University of South Carolina. After graduating from nursing school in 2010, Carter began working in the Palmetto Health Richland Emergency Department, where she continues to work as a staff nurse. Carter is a peer coach and part of the team that trains new nurses to work in the emergency department. Carter hopes to go back to school to become a nurse practitioner. Her goal is to improve access to primary care where she currently resides in Columbia, SC as well as through future volunteer rotations with Sea Mercy in the South Pacific. Peyton grew up in Raleigh, NC where he studied Biochemistry and Chemistry at North Carolina State University. After college, Peyton attended medical school at Mayo Medical School in Rochester, MN. After completing medical school in 2011, he moved to Columbia, SC to train in Emergency Medicine at Palmetto Health Richland. 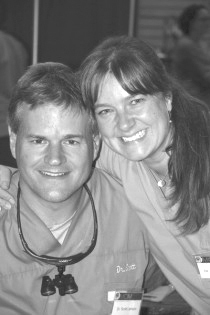 He completed his residency training in June of 2014, and continues to work for Carolina Care in Columbia, SC in the emergency departments of Palmetto Health and Providence Hospitals as an attending physician. He also co-directs an annual wilderness medicine course for medical students and residents at Palmetto Health and the University Of South Carolina School of Medicine. Peyton and Carter met at work in 2012 and were married in April of 2014. They have previously volunteered in rural Guatemala providing free medical care to the indigenous Mayan living in Santa Cruz, Lake Atitlan. Peyton has been sailing and racing sailboats since his childhood, and he lived on his small sailboat on Lake Murray during his first year of residency in Columbia, SC. Peyton and Carter both continue to enjoy sailing and spending time on the water. JJohn Ivey is responsible for the development and implementation of Sea Mercy's Disaster Response Program. He plans and coordinates the response of SM vessels to natural disasters in theater and deals directly with the affected nation's governmental agencies and responding international NGOs. John has an incredibly diverse skill set that includes leadership and disaster management, personnel management, logistics, computers and communication, building, solar power and catchment water collection and sterilization systems. John is well equipped to coordinate large projects. John has taken the lead on the face-lifts of three inner city elementary schools in Long Beach, California as acting as the representative for Hope Worldwide to the city and held the role of volunteer coordinator, organizing nearly 1500 volunteers. John was a member of Rotary in Hilo, Hawaii and volunteered on projects throughout the Hawaiian Islands. A former paragliding competition pilot, John has been the safety director for the US Paragliding National paragliding competition and the West Coast Paragliding Championships where he was charge of the coordinated safety of over 2000 flights and maintained a perfect safety record. John and his family lived on an off grid ranch in Hawaii where he built multiple solar power systems and catchment water collection systems through out the Big Island. Currently, John is a team leader for Jackson County Search and Rescue and currently holds a seat on the board of directors. John also instructs wilderness survival and emergency preparedness for the Boy Scouts of America. He holds a FCC HAM radio technician's license and his current training certifications include: Wilderness Emergency Medical First Aid, First Aid, AED,CPR, Haz-Mat, ICS-100,200,700, DDC, BBP, Firearms, Earthquake and Emergency Response, COPE Leadership Training, OSSA certification, JCSAR Team Leader training and an Oregon General Building Contractor's License. Dr. Peckler received his BA from Tulane University in 1992 and his MD from St. George’s University School of Medicine in 1996. After finishing his training and chief resident year in 1999 at Beth Israel Medical Center, he became a core faculty member of the Cornell University Emergency Medicine Residency at Lincoln Hospital in the South Bronx, New York. While there he did extensive training and teaching of trauma care. He was part of a team that had developed a trauma course for primary care providers in Spanish that was given in many different countries. In 2002 he went to a rural regional trauma center in Florence, South Carolina. While there he continued his academic pursuits in New York and continued his research. In 2004 he moved to Florida to become a core faculty member in the Emergency Medicine Residency at the University of South Florida at Tampa General Hospital. He was the director of simulation and worked extensively with the medical school simulation program. He has been working in New Zealand part time since 2009 and has been a full time consultant since 2013 at Wellington Hospital and runs the simulation program. 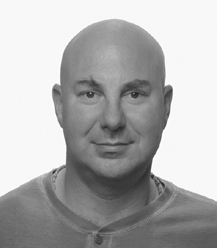 Dr. Peckler is an author of over 30 scientific publications and book chapters. 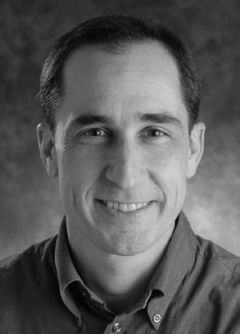 Simulation and educational process has been his main focus of teaching and research and has traveled the globe presenting and giving courses in trauma, simulation, and ultrasound. He has worked as a physician in more than a dozen countries and has a strong interest in international emergency medicine. He became involved with Sea Mercy in 2014 and believes that it can play a large role in providing the necessary care to the remote areas of the South Pacific.